Arrange a full size portion of lettuce on 2 dinner plates. 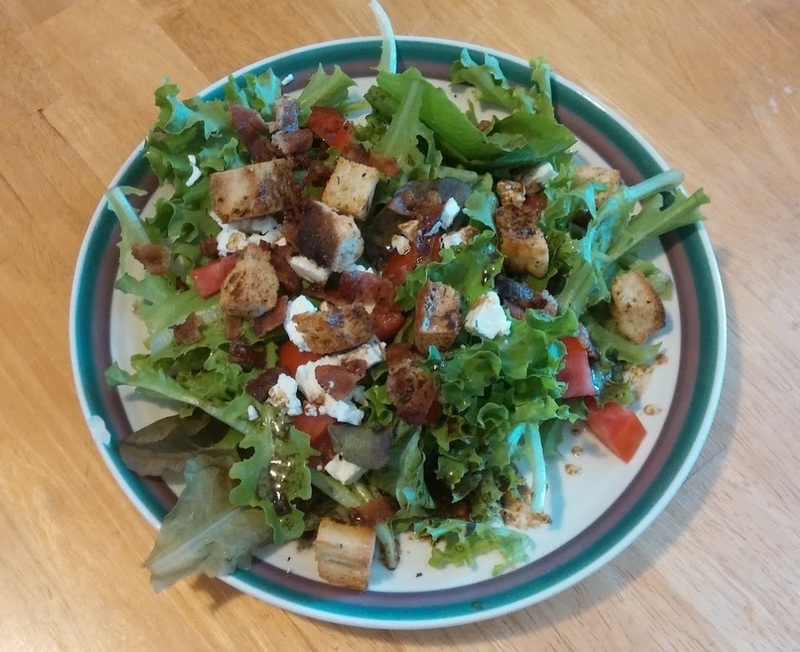 Top with chopped tomatoes, Feta crumbles, bacon bits, and croutons. Dress with your favorite dressing. Check out this great guide to summer produce by Martha Stewart! 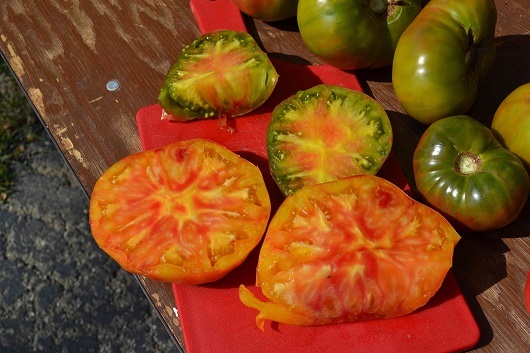 We will have hard copies of Heirloom Tomato Salad with Garlic Oil, Ricotta and Tomato Toast, and Heirloom Tomato and Herb Salad available at market on Saturday (8/1/15).